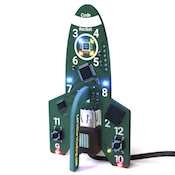 You'll need to download and install the Let's Start Coding app to program your board. Watch the video below and follow along to get your first program uploaded! The desktop app lives on your computer. Ensure you're connected to the internet to use it. 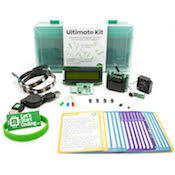 Once the app is installed, you can use it to navigate the lessons and projects for your kit! 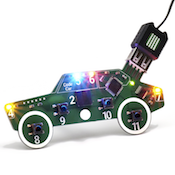 Now is the time to plug in your Maker Board or Code Car like the images below. The app is similar a web browser that is limited to visiting www.letsstartcoding.com. You can type URLs for Let's Start Coding projects in the app's search bar and you'll reach that page in the app. We do not recommend purchasing kits through the app.